« Flying the Beaver around the Bay! Present at our Annual Meeting were: Sue Royce, Cindy Pickett, Val Westen, Gretchen Kah, Alyssa Abbey, Rhonda Nilsson, Sandy Brown and guests Emily Stednitz with friend Nader Moussa. Members re-elected Sue Royce as Chair, Cindy Pickett as Treasurer, Meaghan Bertram as Secretary and newly elected Val Westen to replace Carolyn Walker-Davis as Vice Chair. 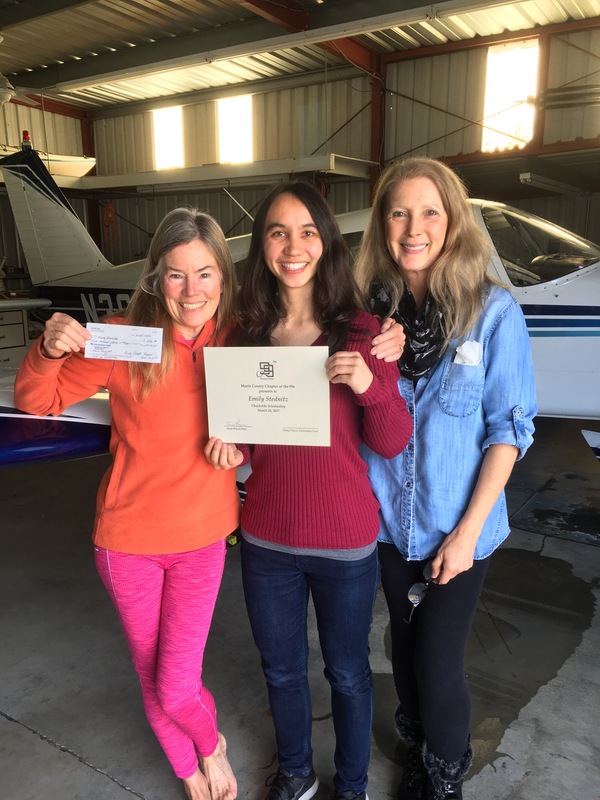 Emily Stednitz was presented her Check Ride Scholarship by the Marin County Chapter of the 99s (photo below), and shared with us her experience with the check ride. 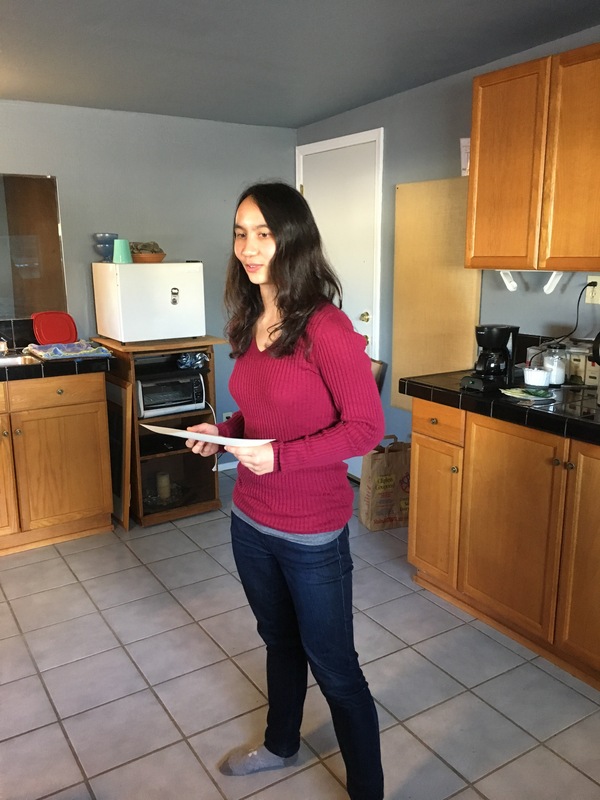 Congratulations again, Emily!! May 13 – GFCA breakfast – Marin Chapter of the 99s to give a brief talk about the history and mission of the Ninety-Nines. July ? – Fly-in / campout – possibly Columbia – more to follow from Gretchen Kah.